With the increasing complexity of gaming system hardware, the number of art assets that must be produced for large-budget games is also increasing. Game developers are more and more likely to outsource work to external studios to meet production demands. Once the assets are produced and delivered, it takes time to integrate each component into the game. Is it possible for an outsourced art studio to provide comprehensive, complete service, not only in producing assets but also incorporating them into the game? Integrated art development has a number of challenges, but it also provides many specific benefits, both to the external studio and the game developer. For the game developer, outsourcing a significant amount of art asset production means the project’s success relies heavily on the dependability of the outsourced studio. In an effort to increase trust within the working relationship and improve the quality of the final assets, the game developer must make communication the highest priority. Concerning the operation of the tools used to create assets and the addition of those assets to the game itself, developer must also focus on establishing a stable platform on which the external studio can build. The external team would benefit from being able to access a stable build of the game at all times, especially as the project progresses. For the external studio, handling a large amount of art asset production for one specific project involves many challenges, the foremost of which is the ability to adapt. Technical and aesthetic aspects of a game project develop over time. The tools provided by the client may also change over time. The external studio must possess the ability and the willingness to stay flexible throughout the art asset production process. The external team has to engage with the tools provided by the developer, learning quickly and adjusting to change without issue. The external studio must understand that their ability to deliver on-time and on-target directly affects the developer and the entire game project production timeline. As far as physical requirements, the external studio has to be able to constantly download all the files needed to recreate a stable build of the game and work all the tools necessary for the creation process, so they need to invest in a high-bandwidth internet connection. The production timeline is one of the most important factors in game development. Delays in any area of the project, have an impact on different disciplines and every stage of production. When a developer outsources a large number of assets to one external studio, multiple benefits result. First, the developer is able to increase the scope of the project and complete production in less time all around. The developer doesn’t have to spend hours upon hours on preparation – the external team gradually becomes an extension of the internal studio and works independently towards same goals. Also, since the external studio is managed by their own lead, the developer spends less time managing the day-to-day details and can stay focused on other tasks. And when the external studio can also handle asset integration as well as production, resources are conserved and time is saved. There is an all-around boost in efficiency within a game developing company when an external studio can be trusted for production and integration. For the outsourced team, taking responsibility for both asset production and integration also offers benefits. When an external studio is given a more impactful role in a game’s development, they can develop a wide range of skills that benefits both the current project and future projects. Since they are handling a wide range of asset production and integration, they will be able to gauge their company’s progress as they tackle more complex production challenges. One of the most challenging aspects of outsourcing integrated art development is the billing process. Large-scale game development projects typically have strict budgets, but they also may change direction and shift focus as time progresses. From the game developer’s perspective, it makes the most sense to pay for the development of individual assets. From the external vendor’s perspective, it makes the most sense to offer a price estimate based on the number of hours it will take to create an asset. In a traditional vendor-developer relationship, the vendor gives the developer a price estimate based on their internal assessment of how long it will take to produce each asset within the batch of work. Once the price is agreed upon, any additional cost increases must be negotiated. While this helps the developer stay on top of their budget, it makes the billing process extremely complex when there are twists and turns in the entire project’s creative process and the vendor is required to spend additional time adapting to these changes. On the other hand, hiring an external studio based on a retainer-basis or for an hourly wage can also be problematic. While it makes billing less complicated, it does not provide confidence to the developer that the project will be completed within their timeframe expectations, as measured compared to the abilities of their internal team. Estimating single assets is not always a practical solution for pricing a large-scale integrated art development project. Paying for time only, not assets, is not always practical when developers rely heavily on outsourced work to be completed according to a project’s pre-planned timeline. A mixture of both time-tracking and production accountability is vital to establishing a fair, effective billing system and ensuring satisfaction on the part of both the developer and the external vendor. There are a number of software programs and tools that are useful in tracking integrated art development project production. Individual assets can be tracked and the status of each set to in progress, ready for approval, blocked or approved. Communication is centralized and all involved team members can view the asset’s history and receive notifications when there is a change in its status. 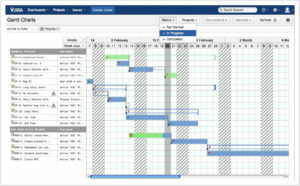 Metric tools help track project progress and efficiency. All relevant documentation can be included. Programs like Jira or Shotgun require purchasing a license, but similar setups can be created using common software programs like Microsoft Excel, with documents shared so all involved parties are kept informed. When game developers are preparing to outsource, it helps to make internal tools easy to extrapolate from the company’s internal structure so they can be easily passed on to the external vendor. Making documentation available is another key to helping the external studio progress quickly. External studios benefit from having a technical contact from the game developer available to answer questions and provide information as needed. When this contact gets to know the external studio’s lead, they can build a familiar, long-term working relationship that leads to increased production efficiency. Throughout the project, schedule weekly meetings to assess project direction, overall progress and to provide detailed feedback. Finally, ensure the external studio has access to tools to check each asset before checking it in so problems can be addressed before submitting, saving time on the part of all parties. Outsourced integrated art development is an investment of both time and resources, but it results in exceptional, high-quality collaborations that is highly beneficial to game development studios looking for outside support as they create complex, nuanced games on the cutting-edge of the industry. Outsourcing art to external vendors is a common practice among game developers, but as with any outsourced relationship, difficulties can postpone delivery and stall production. By putting workable, effective communication strategies in place, clients can reduce delays and ensure the final product meets their exact specifications.